Project SEARCH is a high school or young adult transition initiative which is a business-led, one-year, school-to-work program that combines classroom instruction, career exploration, and relevant job-skills training through strategically designed internships for students with intellectual and other developmental disabilities (I/DD). The Office of Disability Employment Policy indicates the employment rate for youth with disabilities is significantly less than youth without disabilities (60-70 % less). Work-based learning promotes problem solving and adult thinking. Young people with disabilities have limited access to many of the venues for teens such as sports, clubs or after school jobs that build employment skills. Project SEARCH is a unique transition to work program that utilizes partnerships among business, education, vocational rehabilitation, families and community supported employment agencies to teach employment skills and support workers as they learn a new job. Project SEARCH defines employment as 16 hours or more of year-round work in an integrated setting at a prevailing wage. 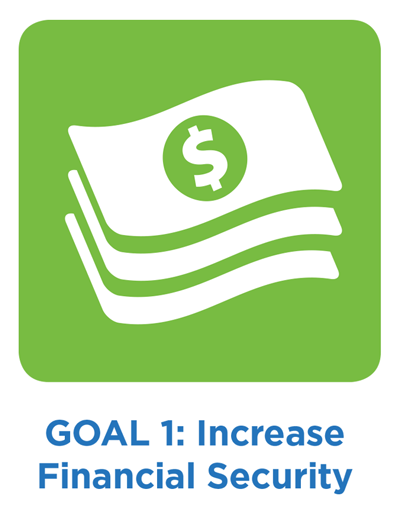 This initiative supports NCCDD's Goal 1 of the new Five Year Plan: Increase financial security through asset development for individuals with I/DD. Project SEARCH began as a single site at Cincinnati Children’s Hospital Medical Center in 1996. Project SEARCH staff have established over 400 program sites in the US and internationally. - Exploration of new ways to partner with the post-secondary educational system to improve the overall knowledge, skill level and life experience of our interns. Each licensed Project SEARCH site serves 6-12 young people with disabilities each year. Most participants are 18 to 22 years and have completed their high school credits. Some participants are enrolled in community colleges in North Carolina. The participants spend one school year rotating through at least 3 internships at a host business. They are immersed in the host business and receive consistent support from an instructor and job coach(es). In addition to on-site internships, participants receive classroom instruction at the host business for a portion of the day. The Project SEARCH team recruits students, engages businesses, provides instruction, and works with partners to support the student intern during the internship program. 17 of 26 graduates from the class of 2014 obtained competitive employment (16 hours per week, non-seasonal, community-based). 51 young people with disabilities enrolled in the program for the school year 2014-15 (an increase from 26 the prior year). 21 young people have obtained employment as of June 30, 2015. Job placement activities continue for all graduates not placed. Each program held public awareness events this quarter, which resulted in over 5600 persons learning about Project SEARCH and employment for people with disabilities. Some Project SEARCH programs utilize Business Advisory Councils (BAC) who connect with other local businesses that have an interest in hiring entry-level workers with competencies acquired by the Project SEARCH interns. Increase skills acquisition and employment outcomes for young people with disabilities through the implementation of the Project SEARCH model. Offer new models that can change the business culture to include workers with disabilities. Create natural opportunities for service systems such as education, vocational rehabilitation, community supported employment agencies, and families to work together to create systems change for employment of individuals with disabilities. Visit the national Project SEARCH website (http://www.projectsearch.us/) for information about how to implement Project SEARCH in your community or to find a program near you.